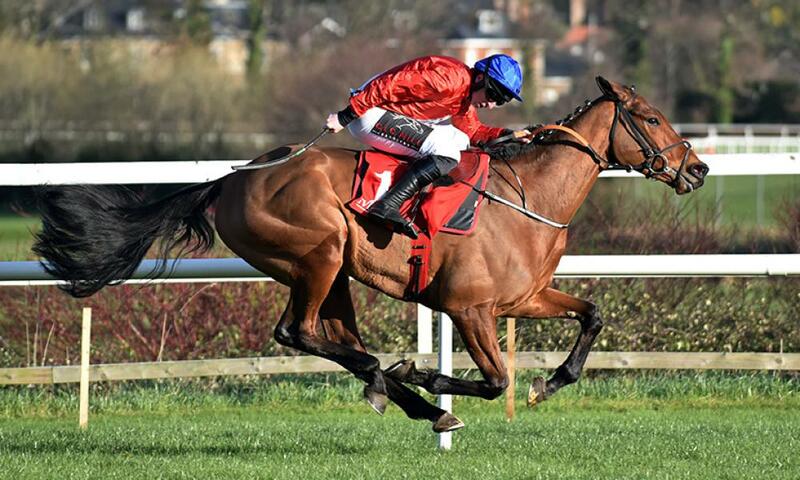 Envoi Allen further enhanced his already tall reputation when taking the Grade 2 INH Flat Race at the Dublin Racing Festival for Gordon Elliott and Cheveley Park Stud. The unbeaten son of Muhtathir took up the running turning into the home straight and stayed on strongly under Jamie Codd to win in determined style and cement his place at the head of the betting for the Weatherbys Champion Bumper at the Cheltenham Festival. He was purchased at last year’s February Sale for £400,000 by Tom Malone after making an impressive winning debut in his Maiden point-to-point at Ballinaboola for Colin Bowe and Walter Connors. Entries are now being accepted for this year’s renewal of the February Sale and close next Monday 11 February.